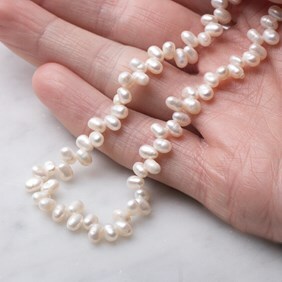 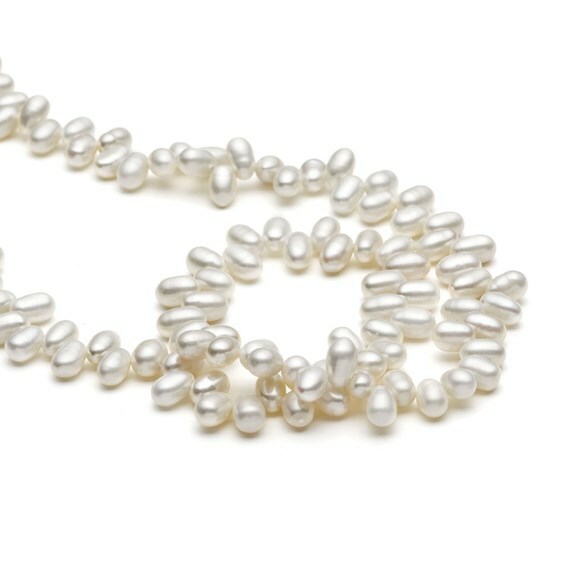 These beautiful head drilled cultured freshwater white pearls are B grade so are a lovely quality with a wonderful lustre. 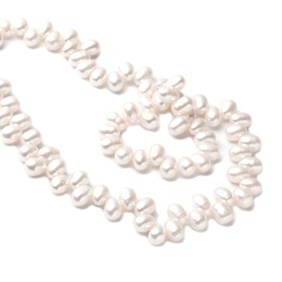 As they are head drilled they are great for wire wrapping into stunning dainty drops on earrings and necklaces; perfect for wedding jewellery. 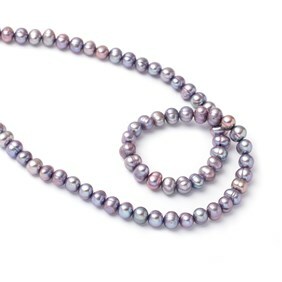 A 40cm strand contains approximately 120 beads. 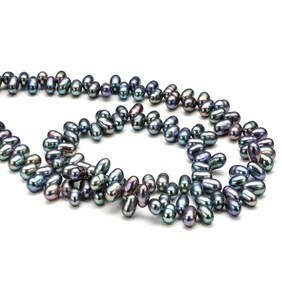 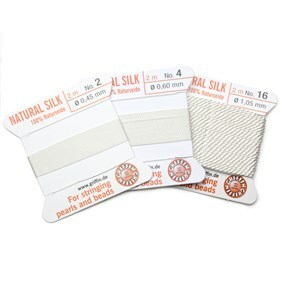 When you buy these beads by the strand you save approximately 34% compared with buying a pack of ten!